We offer high quality language learning courses to learners of all ages. Improve your language abilities quickly with our customized classes! 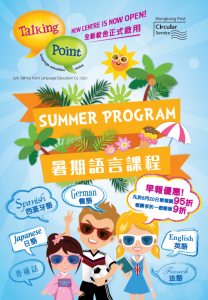 * Learning languages at Talking Point is fun because interactive teaching methods and interesting games are utilized. Class sizes are small (4-6 students)hence students can benefit from close attention and immediate support from their teachers. 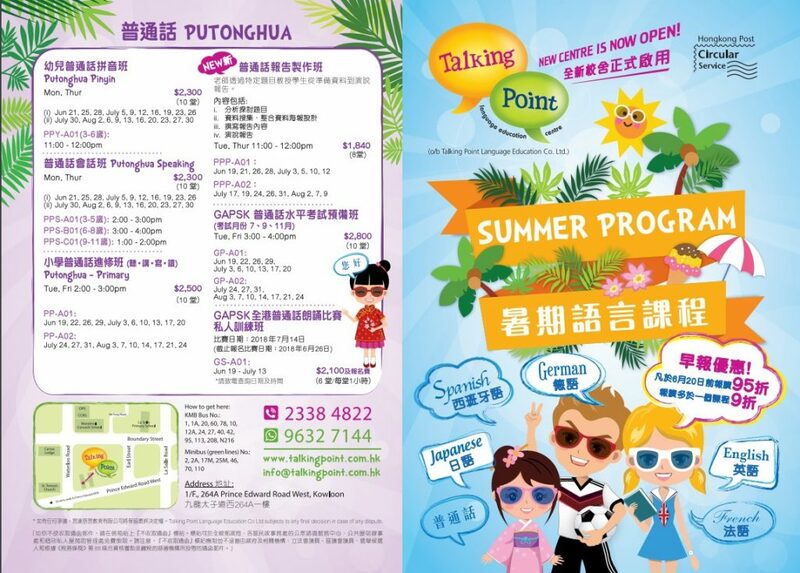 Our language courses are including English Courses, Putonghua Courses, French Courses, Spanish Courses, German Courses, Japanese Courses, and Korean Courses. Courses are Theme topic-based; Students can enroll at anytime.